“You want to do what’s best for your family. So do we.” This is the first statement that greets you on Apple’s new ‘Families’ webpage, first spotted by Axios. It seems that Apple is addressing concerns after investors began pressurizing the company to put in more effort with regards to tech addiction, as well as granting parents enhanced control over how children utilize Apple’s products. Earlier this year, two major shareholder groups penned an open letter, calling for Apple to step up to the plate when it came to smartphone technology’s impact on children. Apple subsequently responded with a statement via the Wall Street Journal, clarifying that it does take into consideration the implications of its technology. 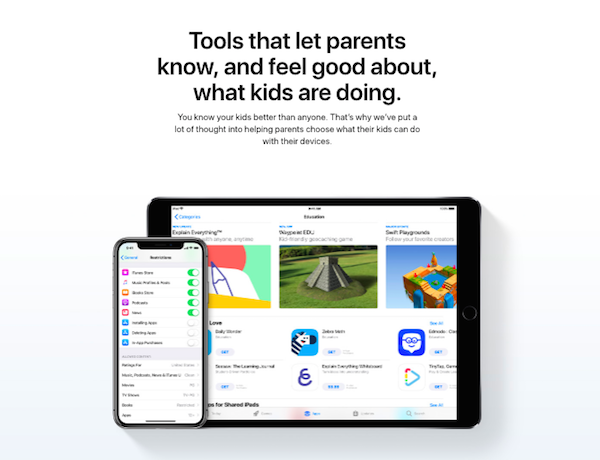 The brand also highlighted existing parental controls available in the current iOS, as well as new features that will be introduced in future for added protection. 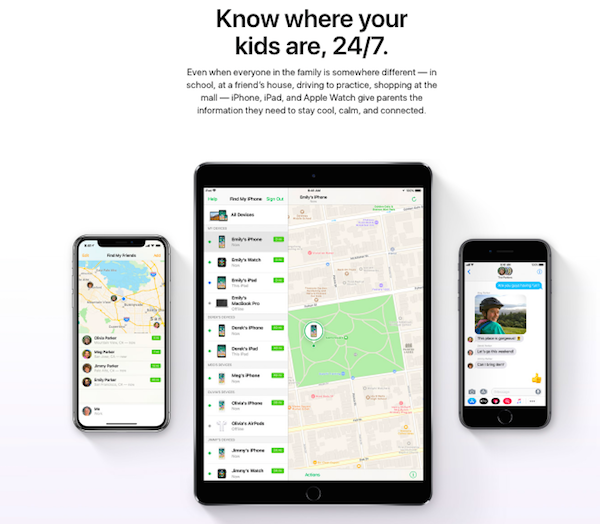 The ‘Families’ webpage doesn’t touch so much on up-and-coming improvements, but rather focuses on the capabilities of its current software, such as ‘Restrictions’ within ‘Settings’ that disables in-app purchases, website accessibility to control what the iPhone’s user sees, and ‘Find My Friends’ so you can track your child’s location via the gadget anytime, anywhere. “iPhone, iPad, Mac, Apple Watch, and Apple TV. They’re some of the most powerful tools ever made for learning, exploring, and staying in touch. Parents love them. Kids love them. And we’re continually designing new features to help make sure kids use them in the ways you want,” explains the brand on the webpage. 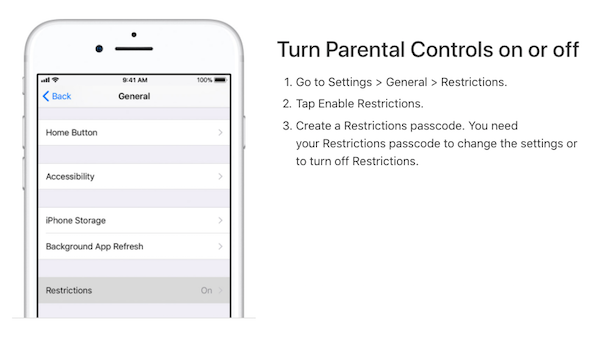 It’s likely that new parental controls will be announced as part of iOS 12, which is anticipated for debut at June’s WWDC. 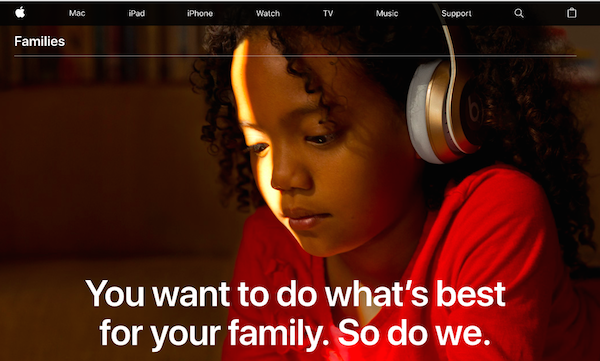 You can check out Apple’s new ‘Families’ webpage here.